All the profits in your business come from one single source: your customers. No matter how much you know about marketing, you HAVE to understand your customers and what makes them tick. Luke Szyrmer learned all this the hard way. After seeing multiple of his own start-up enterprises fail, he decided to collaborate with his market instead. The end result was a tool called the Hero Canvas. By following Luke’s advice, you’ll learn what REALLY matters to your customers. You’ll know what content they want the most… because they’ll have told you. 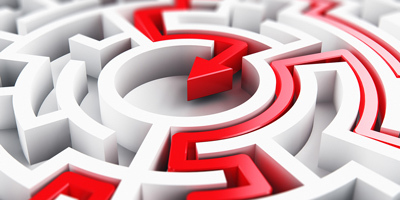 You’ll create a visual map of the content you need to develop for your marketing maze. We KNOW we need to be speaking to customers regularly, but the real question is HOW? Listen now to learn more. Why these problems are nothing new! The ‘80/20’ or Pareto principle is an established mathematical fact. Everything in the world that can be impacted by positive or negative feedback loops is impacted by this… including your ads. While a small number of ads will cost you large amounts of money. For more on the 80/20 curve we recommend Perry Marshall’s book 80/20 Sales and Marketing. Messenger Marketing and ‘Bot Building’ explained, in 21 minutes! Messenger marketing – the act of communicating with prospects and customers through Facebook’s messaging platform – is a big deal right now. Most of us have at least one messaging platform installed on our phone, and on the face of it open and click through rates are extremely high.